Archives of Eaton Bray News for June 2010. Time has rushed by and we are beginning again to think about our next Panto which will take place at the end of January 2011. The theme this time will be more conventional and, as before, will contain adults, youngsters, dames, etc. We have organised for Auditions to take place in the Coffee Tavern in September and welcome all newcomers, as well as the many past actors. This year, however, we have decided to put an age limit of 10years and above for the youngsters, due to school activities, and hope no one is too disappointed with our decision. We would be delighted to see old and new faces. Come and join our merry group and have some fun. Monday 13th September from 8pm to 10 pm. You do not need to attend both, just one of them. For more information, contact Pete & Ronnie. Carnival day is the biggest day in our villages. It is a day when we create a wonderful community spirit and raise a lot of money, both for the church and for local good causes. The Carnival Committee has been busy trying to create a great day out but now is the time for as many people as possible help. There is a great variety of jobs to be done, some physical, some sedate. Among the biggest fund raisers at the Carnival are our Tombola and 'Water into Wine' stalls. These both need donations to be successful. Please consider donating tins, non-perishable items and especially bottles of wine to support these stalls. Small prizes for the tombola are always welcome. With an enormously popular Tea Tent and a tremendous Cake Stall we can never have enough cakes. Please consider baking a cake or some trays of cup cakes. Please inform the stall holders (Edna Moore and Christine Gray) that you are going to be cooking and bring them along on Carnival Day. Do encourage friends and family to add to the supply. In addition, we need donations of Plants, Books, Toys, Soaps and perfumes, items for the White elephant stall. Have a clear out and please let us have good quality items we can turn into cash. A new venture this year is a Recipe Swap stall. This will be located next to the Tea Tent. It would be wonderful if every family could write down - or type - their favourite recipe and pass it to Gordon. And not just your body - your friends and family can join in too. We need help on Friday 2nd July. Just come along to the car park at Eaton Bray Village Hall at 6.30pm and join the band of helpers to load lorries with Carnival equipment. Then on Saturday evening help put it all back again - just turn up on the Green and join a lorry crew from 4.30pm onwards. Ideally let Gordon or Norman Lee know you are going to help. Too much trouble? Well, how about spending 15 minutes collecting litter off the Green? We always try to leave it cleaner than we find it. A team of 30 or so litter pickers would be a tremendous help. There's no age restriction so this is an opportunity to involve some of the younger members of the church family. Do you have (or do you know someone who has) a pick-up truck that you would be willing to drive around the villages from 5pm to 6pm on Carnival Day delivering items and equipment. If so please talk to Gordon Gray. We will hand out the same prizes whether we sell 100 Grand Draw tickets or 10,000 so every ticket we sell adds to the Carnival profits. And the more tickets we sell before Carnival Day the better insured we are against possible bad weather. Please receive your tickets from Ann Lee with good grace and do everything you can to sell them to friends, family, neighbours or work colleagues. If you would be willing to knock on the doors in your neighbourhood and sell more tickets in advance please talk to Ann or Gordon. With free parking, free admission and free entertainment St Mary's Village Carnival offers a great day out for families. Please encourage your friends, families and work mates to come and spend the afternoon on Edlesborough Green. You can Contact the Carnival Committee at any time via the Carnival website. You are invited to get your riding assessed for FREE with a Bedfordshire Police Advanced Motorcyclist to get expert and impartial feedback on what you do well and where you may be able to could improve your skills. This is part of the Bedfordshire and Luton Casualty Reduction Partnership's 'Motorcycle Training Matters' initiative to reduce the casualty toll amongst motorcyclist. One in four serious injury road traffic collisions involves a motorcyclist. Some are due to rider error, and some are due to other road users' errors. In either case, we believe that better, defensive riding skills will help reduce motorcyclists' risk of being involved in a collision. Find out more or book a place by visiting www.MotorcyclingMatters.org/RideSafe/. NOTICE IS HEREBY GIVEN that the Central Bedfordshire Council intend not less than seven days from the date of this Notice to make an Order the effect of which will be to prohibit any vehicle from proceeding along the total length of High Street / The Orchards / Totternhoe Road / Northall Road / Bower Lane / Moor End, Eaton Bray. These temporary closures are required to facilitate the holding of the Eaton Bray Village Carnival and Parade and shall apply to such extent as may from time to time be indicated by the appropriate traffic signs. Where possible access will be maintained to property and premises but may be restricted from time to time according to local signing. Saturday 3 July 2010 between 10:00pm and 3:00pm. Proceed on Bower Lane to the roundabout with the B489 Icknield Way. Take the third exit and continue on Icknield Way to the roundabout with the A4146 Leighton Road, Eddlesborough. Take the third exit and continue on Leighton Road to the junction with Stanbridge Road, Billington. Turn right and continue on Stanbridge Road to the junction with The Rye, Eaton Bray. Turn right and continue on The Rye to the junction with Totternhoe Road and site and vice versa. The proposed Order will come into operation on 3 July 2010 for a period of one day. The next Parish Council meeting will be on Monday 5th July 2010, 7.30pm, in the Coffee Tavern. Everyone's welcome whether you have children at Eaton Bray or not. Please come along to help support our school. Central Bedfordshire residents will have a new website from 8 June 2010 as Central Bedfordshire Council launches Let's Talk Central (www.letstalkcentral.com). The site will be dedicated to giving local people a place to talk to each other, post comments, photos and videos about where they live. What's the best thing about where you live? What do you think is special about Central Bedfordshire? What do you want to see protected or developed for the future? What challenges do you think Central Bedfordshire will face in the future? What are your hopes for Central Bedfordshire in the future? The council is launching the website to hear directly from the public about these and other issues, as only by listening to local people can the council take decisions that reflect our communities' priorities. Existing social networking sites such as Facebook, Twitter and YouTube will be used to promote Let's Talk Central, which will be free and easy to use for the council and their customers. The website launches on 8th June - please check it out and spread the word as we get talking about Central Bedfordshire. Eaton Bray resident, Michelle Shulman of Cakes by Shelly has been selected as a finalist for Self Employed Person of the Year 2010 in Bedfordshire's Small Business Awards. Over the last four years Michelle has established herself as one of Bedfordshire's premier cake designers specialising in wedding, birthday, and celebration cakes, wedding favors and corporate gifts. She has become renowned for her designs throughout Bedfordshire, Buckingamshire, Hertfordshire and beyond and has created cakes for private, corporate and celebrity clients, including Take That for the launch of 'Take That Singstar', and the celebrity attended 'Make a Wish Foundation' Valentine's Ball 2010, held at the Dorchester Hotel, Mayfair. 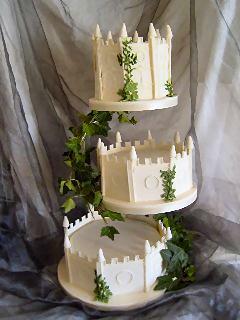 She has received a number of international awards for her cakes at Cake international and Salon Cilinaire. Her cakes are bespoke, hand crafted and baked fresh to order with each cake designed focusing on the client's individual requirements. Cakes by Shelly is run from her home in Eaton Bray bringing true meaning to the term “homemade”. All creations are baked in her home kitchen using only fresh ingredients. The awards ceremony took place at the Warren Weir, Luton Hoo Hotel on Thursday 27th May 2010. For more information about Cakes by Shelly please view www.cakesbyshelly.co.uk. We are the local group of the Association of Narrow Gauge Modellers. Our membership is drawn from the neighbouring counties of Beds. Bucks. and Herts and currently stands at around 30 members. We meet monthly at the Eaton Bray Village Hall near Dunstable. The clubs exhibition layout is called Ridgmont, which takes its name from the Bedfordshire village were the club was form over 20 years ago. During our meetings members bring along their own locomotives and rolling stock to run on the club layout Ridgmont and other visiting layouts. The locomotives are a mix of Live Steam engines most of which are gas fired but a small number of members have coal fi red engines as well. During quiet periods when a member is waiting to raise steam a strange assortment of battery powered engines can be seen making leisurely progress around the layout. All visitors are always welcome at our club meetings, any visiting 16mm Members from other groups are also welcome to bring along one of their own engines. 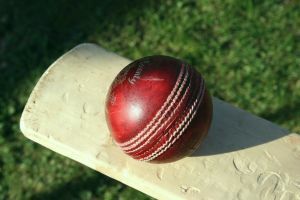 A full list of our clubs meeting dates can be found on the clubs Web Site at www.bag16mm.org.uk. If you would like further detail or are interested in joining our club you may contact our club secretary: Chris Pretty. Having grown and eaten our own produce for lunch, we have now extended the self-sufficiency life style! We planted our orchard in the autumn term 2009 with a range of fruit trees. More recently, we enrolled three new pupils. The general election to decide on their names has not yet taken place. They are, of course, chickens! The children will be eating their eggs for lunch and then the School Council are hoping to receive donations from parents for the remaining eggs. The proceeds will be used for the upkeep of the chickens so that the children have fi rst hand experience of self-financing projects. Our year fours won an Edenfoods competition. The prize was a cooking demonstration. The children were able to ask questions about the ingredients, to learn how to prepare and cook them and fi nally what they tasted like. So we hope to have developed and encouraged some self suffi cient, financially successful, voting, locally sourced chefs of the future! 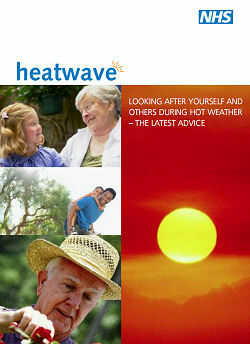 The document Looking After Yourself and Others During Hot Weather provides information on the symptoms of the effects of heat, what actions to take and top tips for keeping cool. A typically young Bray Sunday XI entertained Roving Reporters C.C on Sunday in an exciting contest which went all the way to the wire. Bray were put into bat and opened with tried (and almost trusted) pair Jacobs and McDermid who started solidly putting on 35 before McDermid fell for none. (He will tell you though that he did get bat on one that was given as leg byes). Sozzled and feeling more ill by the minute from the day and night before, skipper Peacock made his way to the middle, and after struggling to see at least the first 2 overs set about trying to make some runs. Both batsman scored quickly and took liking to the opposition bowling. Jacobs unfortunately fell to the bowling of Farooq for a well played 46 and Peacock not too long after stumbling down the wicket and missed a blurry ball and was stumped for 29, Watson being the wicket taker. Club legend and poker fanatic John Salmon, in his first innings of the season joined Charlie Tickell and both batsman played some top shots in making 32 and 24 respectively. Bray were going along well but also needed runs from their lower order and vice skip Barm was given the role of being 'the glue' at the end and seeing the innings through. Shame. He was out for 4 and Barker, Churchyard and Ross taylor followed not long after. However, there was one batsman waiting to dazzle and ultimately waiting to surprise! Phil Spicer coming in at 11 joining young Ryan Shiletto batted out of his skin, as did the youngster as the pair forged 36 for the last wicket, Ryan played some cracking shots on his way to 11 n.o and Spicer's unbeaten 20 included some cross bat smashes with a delicate chip over the infield using his feet to meet the ball. I think some thanks is in order to Chop who did some batting coaching in the week. Bray ended on a respectable 190 off their 40 overs. They came out to bowl and hot off his batting antics Spicer's grenades opened the bowling with Tickell. Reporters opening batsman were in good form and picked off runs at ease. Peacock was now starting to see a little straighter and bought himself and Petrus Jacobs into the attack. The skipper managed to bowl opener Wiggins for 47 and Jacobs got his revenge when he removed Farooq's middle stump for 17. Townsend was looking at batting out the entire innings and the 8 different bowlers used couldn't trouble him until young Taylor with a sharp leg spinning delivery had his man stumped for a well played 77 after some sharp work from wicket keeper/trumpeter McDermid. It was the youngsters first wicket for the club, and all the team agreed that he should do the right thing and buy a jug (although he would have to settle for Coke or Sprite). Reporters captain Smith anchored the late part of the innings with 29 not out and number 5 batsman Jones finished things off with a boundary 4 to win. Mentions to Jones and Churchyard who bowled good spells each. Bray can be proud of their efforts as everyone worked very hard in the field. Young talent is definately progressing here! Let's keep going lads! A child was painting a picture - the usual square box of a house with “Mummy, Daddy, and Me”, in the foreground, but it was a little different in that the colours were not quite right. The sky was pink - the grass bright blue - “Why blue?” I asked. “Because I like it.” was the reply. Do you think that God thought about and liked the colours when He created the earth, and all that is in it and on it and under it? As I walked through our village I looked at the beautifully tended lawns in some of the gardens, and watched the man from “Green Thumb” tending one of them, Then I noticed a verge alongside the road which had numberless tiny blue speedwell plants covering it - weeds?, well maybe, but they looked just like blue grass! Tiny, delicate, fragile fl owers, painted by 'The Master'. Blue - the colour of the heavens above. The children of Israel were told to make tassels on their garments with blue threads in them, a sign to remind them to be holy, to keep God's commandments, (Numbers 15: 38-40) for the colour spoke of His love and immeasurable power. We still need reminders today; I write things down, lists of things to do - things to buy etc. otherwise I forget. We all so easily forget God and His love for us, we forget that He died for us, and yet He lives in us and around us today, Blue the colour of the for-get-me-not flower, now that is a good reminder, a good sign, yes, blue, for it can jog one's memory, so that we are not unmindful of the fact that God is above us in the sky, all about us in the plants and fl owers, He is unseen, but as real as all we survey. Of placid seas and a dress of lace. Who proudly fl aunt their heavenly blue. On a summer eve, when life feels good. Our May Cafe Community was enjoyed by both our regulars and new friends. The “Cafe” was abuzz with laughter, music and friendly chatter. The newspapers were in great demand as folk looked at the varying reports on our Hung Parliament. There was even a fun topical Quiz on politics to muse over whilst enjoying coffee, a selection of teas, homemade biscuits,cakes and freshly made B.L.T. 's and sandwiches. The next Cafe Community will be held on SATURDAY JUNE 12th from 10-30am to 12-30pm and we extend a warm welcome to you to come and see what it is all about. We are going to have a break after the June Cafe Community for the summer but watch out in Focus for the Autumn details. After another great season's football, we have some very good news to report! We are delighted to announce that our Under 9 Blues, coached by Nick Bramston and Becky McGee were winners of the Chiltern Junior Division 2 league. Well done to them and most importantly to the boys - Joe Thorne, Joseph Rabey, Oliver West, James Glover, Sam Carter, Cameron Burchill, Toby McGee, Sam Bramston and Myles Frederick. Heroes one and all! In addition to another fantastic year of achievement throughout the club on the field of play, EB Lions AFC has been recognised twice by The Bedfordshire Football Association in the annual FA Charter Standard Club awards. Firstly, the club has been recognised as Community Club on the Year. This comes on top of winning the Charter Standard Development Club of the Year only two seasons ago and only reaching Community status back in September. Again, this is a wonderful acknowledgment and recognition of everything that absolutely everyone involved in the Club contributes from Committee to coaches, to players and to parents together with all the people that support the club such as the Schools and Parish Councils. Lastly, but by no means least, our Treasurer and U14s Coach Tim Sanders has been awarded the Outstanding Contribution to Community Football Award. This is the most prestigious individual award and within the club we all know how much time and effort Tim puts into everything that he does for the Club. This is fantastic recognition of his contribution over the years and is very much deserved award for someone who is defi nitely the driving force behind EB Lions, it is safe to say the Club would not be the success that it is without his sterling efforts over the last few years - Well done, Tim, we are all very proud of you! There is a real and strong demand for village based football now, where the skill levels, coaching and development of players and teams is among the best in the county. Whilst we have been hugely successful in stimulating demand and our teams are all of a good size and standard, we do have a small number of opportunities still available in certain age groups/teams and these are detailed in our advert in this months Focus. girls in school year 3 and 4 - A new Girls team is being formed for next seasons Under 9/10 Girls). Boys 11 a side - there is a small number of opportunities - a player or maybe 2 at most for our U11, U12 and U14 boys - that's current school years 6,7 and 9. If you are, or know of any local business that would be interested in supporting us next season please contact us at [email protected] to learn how this might boost your local profi le for a modest outlay and support youth sport in and around the villages. You are viewing the June 2010 archive.